If a home is an expression of the people who live in it, then Jim and Diana Wagner’s house has a lot to say. The drive to the house is telltale on its own, communicating that these folks aren’t afraid of rugged country. The long, winding dirt road creeps through aspens and pines to a saddle in the Gallatin Range that is seldom seen by other people. 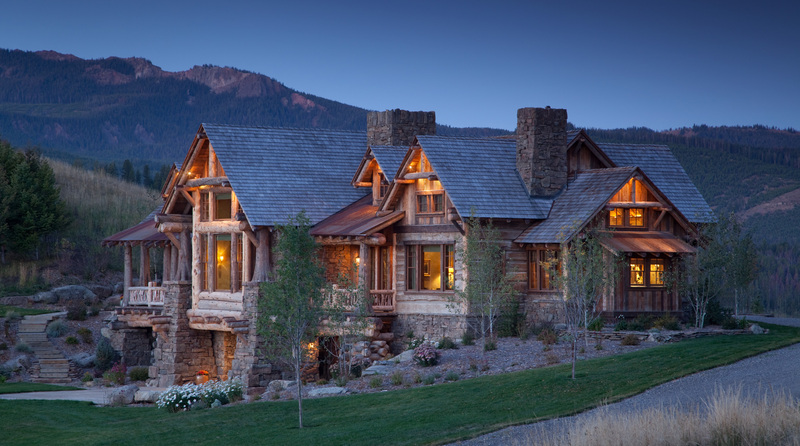 The house, tucked smartly away from the wind, but situated to take advantage of the vistas is constructed of log, stone and wood, speaking to the owners’ love for Western architecture. Framing the front entry, columns made from massive cedar trees with the bark still intact hint at a passion for the outdoors. 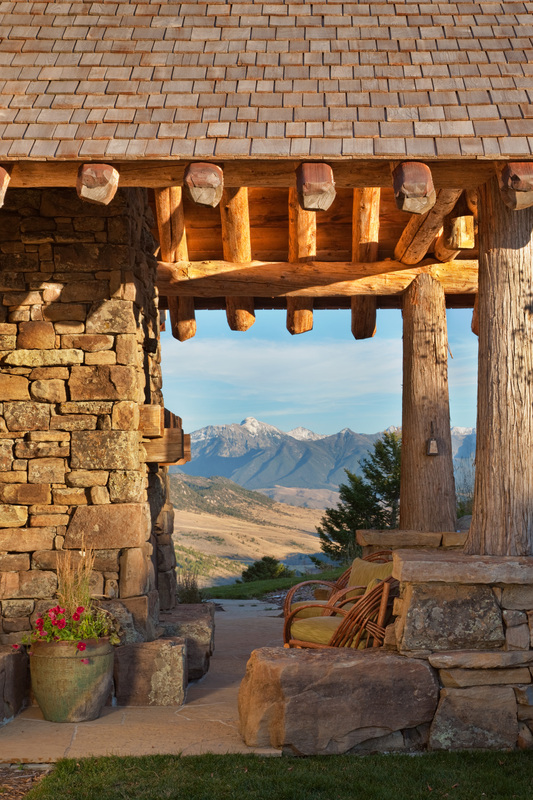 Then crossing the threshold through the oversized front door, the impact of the eastern view toward the Absaroka Mountains solidifies the fact that this house was built to honor the beauty of Montana’s wild spaces. Yet inside, the incredible detail that is layered into the living space, construction and interior design definitively speaks to the Wagners’ appreciation for refinement and art, as well as to personal priorities of family and friends. “The owners were looking for a house that incorporated the Montana vernacular, but their ideal was a refined rustic style,” said architect Matt Faure, of Faure Halvorsen Architects in Bozeman. 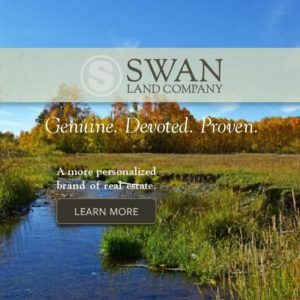 When Jim and Diana decided to build their home up Trail Creek, between Bozeman and Livingston, it was the result of a lifestyle change. They had sold two properties: a family home in Indiana and a Clyde Park horse and cattle ranch. The plan was to downsize. They took up golf and planned to travel more. But don’t get the wrong idea. They are grandparents, but the tiny single-level condo on a golf course in town just wasn’t their style. Instead, they built a dream house in the mountains. It’s a big departure from the simple farmhouse they sold down in the Shields Valley and even more of a departure from the crisp architecture of the brick Georgian style home in Indiana. 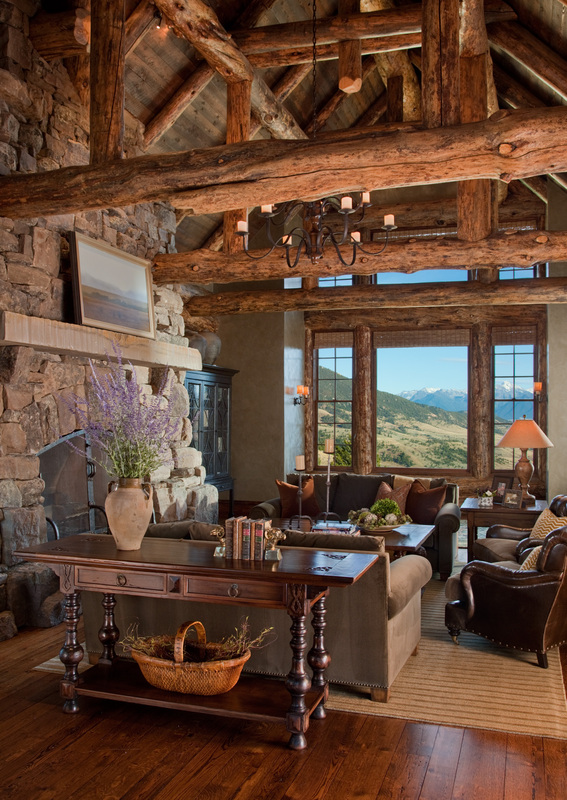 The new house is a marriage of all things Montana: stone, log and wood along with an elegant blend of influences from art, antiques and a love of entertaining. The result is a uniquely personal mountain home. 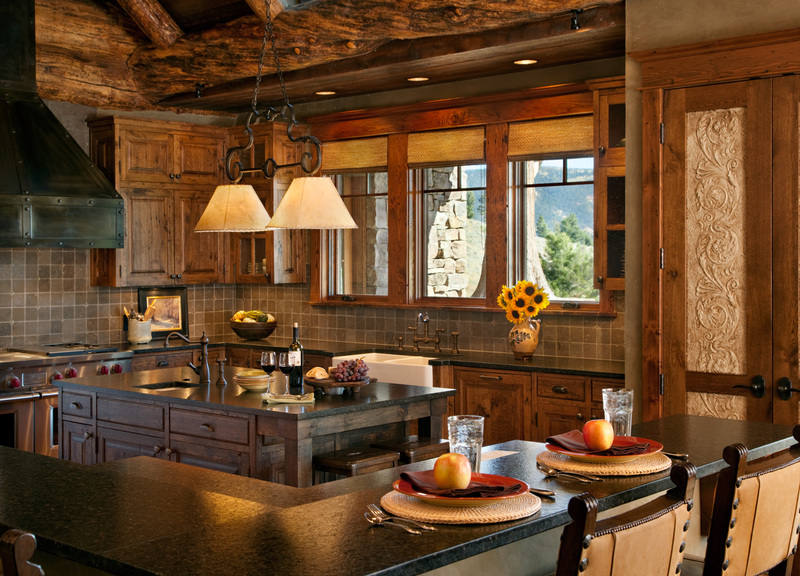 To achieve this design balance, the Wagners entrusted their ideas to Faure Halvorsen Architects, Battle Ridge Construction of Livingston and Haven Interior Design, also of Bozeman. Architect Matt Faure and general contractor Shaun Ryan have extensive experience working together on a variety of architectural styles and are accustomed to the extreme weather conditions of Montana. The trio of architectural design, construction and interior design resulted in “a remarkable team,” according to the Wagners. In fact, walking through the house with general contractor Shaun Ryan, it’s clear he has personal pride in the finished product. 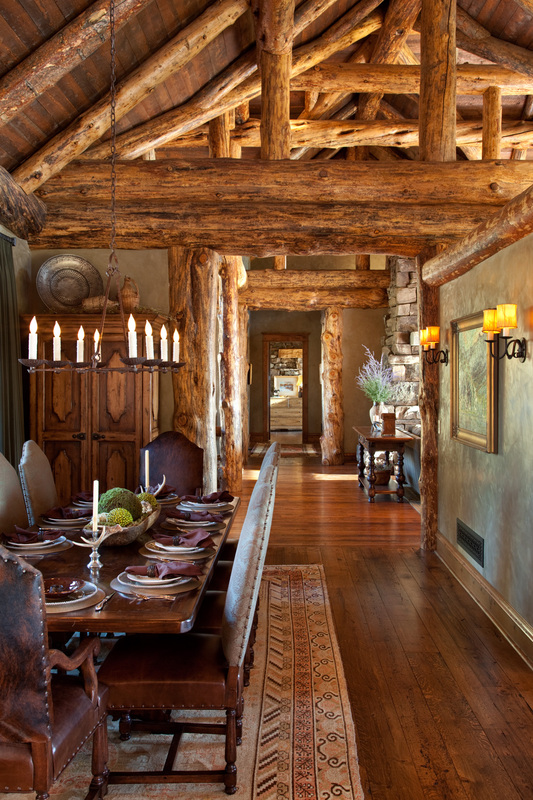 He carefully points out the well-crafted detail in every corner of the Wagners’ home; he rattles off sources for the materials (the flooring, for instance, is from Superior Hardwoods in Missoula) and notes that much of the branches used as accents on the stairs and exterior railings were harvested from the property. “It’s our job to find materials with just the right character to bring the architectural drawings to life,” said Ryan. 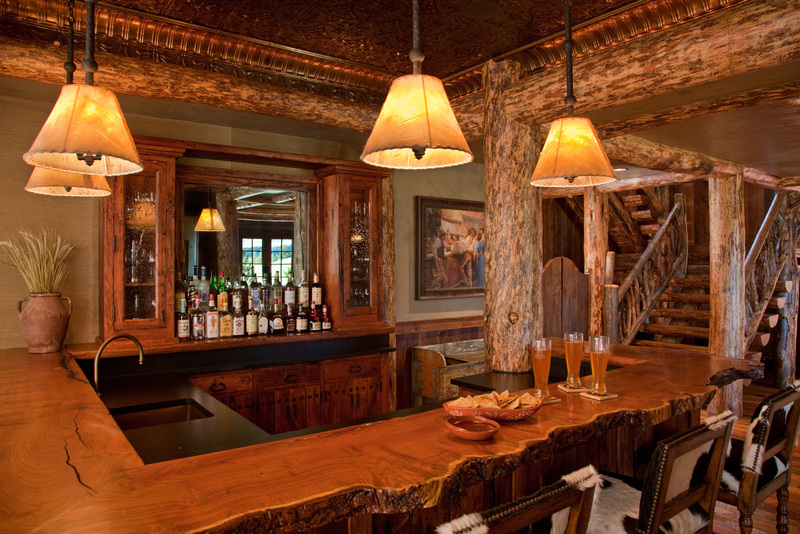 To that end, he points out the big round logs on the exterior that reflect the craftsmanship applied to the historic Old Faithful Inn; the intensely intricate detail of the truss work that weaves through the ceiling on the main floor; and the handcrafted elements applied to the mesquite door to the wine cave and the bar top on the saloon downstairs. 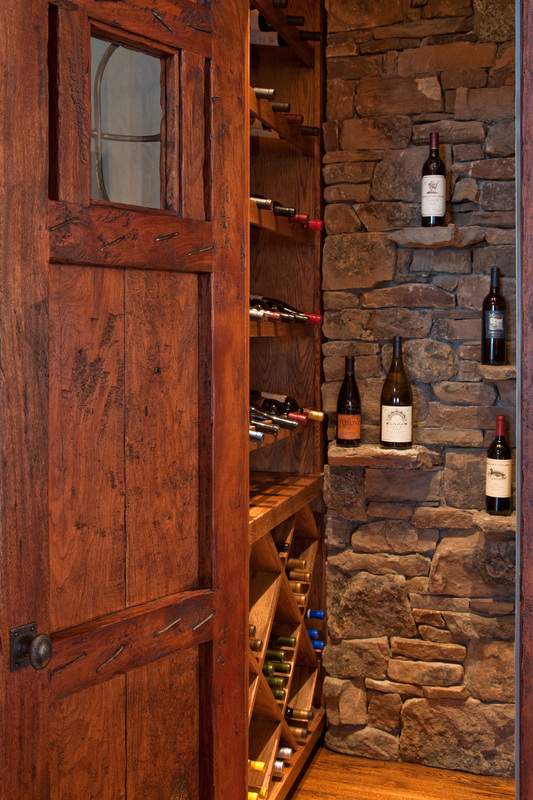 Ryan, along with his partner Scott Wagner at Battle Ridge Construction, have expertise in building the iconic structures that are popular in mountain architecture, but likewise, Ryan considers himself to be well versed in all types of building styles. As a fourth-generation builder, Ryan has knowledge of construction in the classic historic forms seen throughout the eastern portion of the United States and other architectural styles that range from highly rustic to ultra modern. The relationship between designer and homeowners was a genuine collaboration. 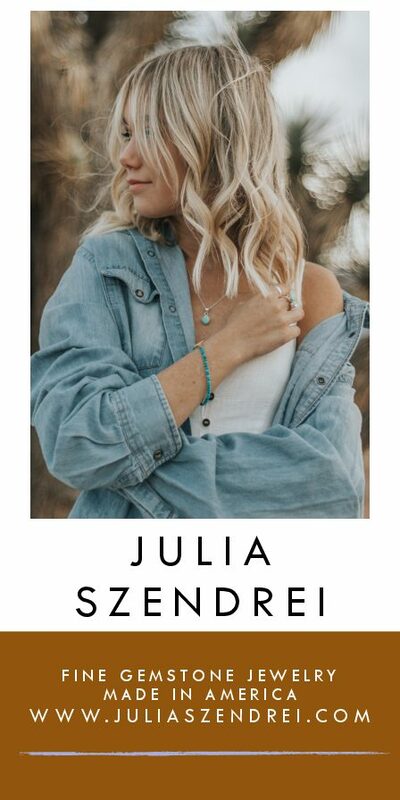 They started with a soft, natural color palette. Then, following Diana’s direction, McEldowney carefully selected lighting, rugs and furniture that maintained an elegant line. There was a challenge to cultivate a more polished style on the main level, versus a true, heavy rustic downstairs. The goal was to balance the spaces, making them distinct, yet compatible. The result is a home that reflects Jim and Diana’s personal style, yet allows the rustic elements to speak to the architecture of the home. Incorporating the Wagners’ Western art collection, from contemporary paintings by Andy Thomas to vintage Edward Curtis prints added another dimension to the home’s flowing style. The couple began collecting over the years from Montana Trails Gallery and other sources. In their new home they combined the collection so that paintings and sculpture infuse the house with another layer of connection to the place they love. Now, perched in the Gallatin Range, the Wagners have no regrets about their lifestyle change. Instead of cattle in their front yard, they have elk; they live comparably closer to town; and their grandsons visit regularly. And for all the things their mountain house says about them, the couple has one thing to say about it: This is home. At the owners request, architect Matt Halvorsen designed an authentic western saloon, replete with pressed tin ceilings, mirrored backbar, rustic wood slab bartop and swinging saloon doors. 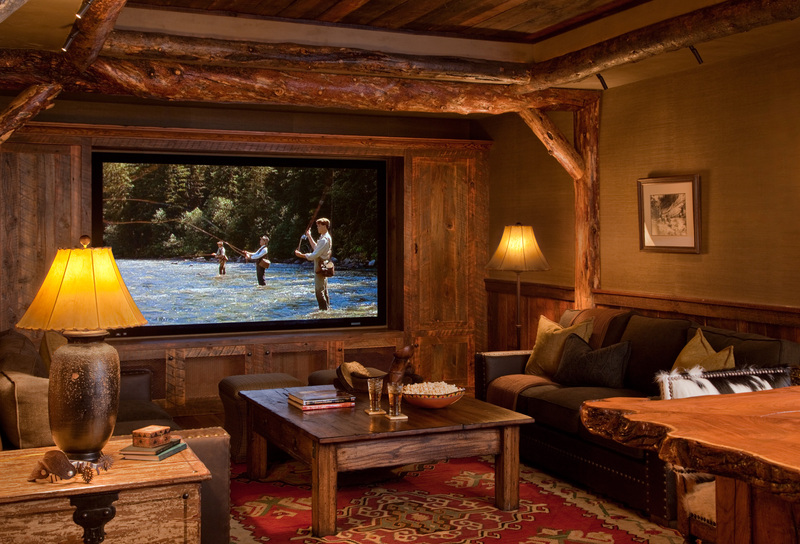 A customized theater room flanks the old saloon downstairs.